Metal Gear Solid 4 has been a long-awaited title. We first heard word back in 2005, and drama has only built up from there. It's been touted by PS3 owners as a reason to own the system, and then claimed to be coming to the 360. Well, all of that can be put to rest now that the game is in our hands and available for play. We've followed the stories of Solid, Liquid, Big Boss, and a bevy of other names through three Metal Gear Solid titles, creating a web of plot points and storylines that have been left unanswered. Delving into Metal Gear Solid 4, I was looking for an experience unlike any of the previous games. It's something that required three of us to tackle this review: Anthony Burch, Chad Concelmo, and myself. Figure out if love can bloom on the battlefield after the jump. 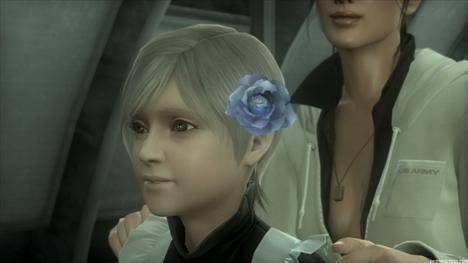 Let's start this off with a thesis, and then work backwards from there: Metal Gear Solid 4 provided a storytelling experience that was unlike one I had ever experienced in a game before. When I played through MGS4, I had the feeling as though I was experiencing a level of storytelling directly above cinema. Compared to Metal Gear Solid and its two sequels, MGS4 operates on a much grander scale in terms of the locations, events, and themes. You aren't restricted to the base at Shadow Moses Island or on board a tanker for most of the game -- Snake travels to the streets of Eastern Europe, the war-torn streets of the Middle East, and the jungles of South America as well. This makes a huge difference in how the game handles. Instead of sneaking through hallways or crawling through grass, Snake takes a more action-oriented role in this game, helping local militia and rebels lead raids on PMC strongholds or providing covering fire during a chase scene. 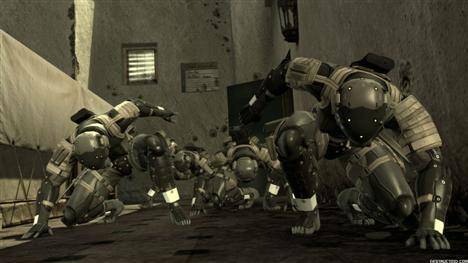 There are plenty of opportunities to crawl around and knock out troops with your tranquilizer gun, but it didn't feel like MGS2. Oftentimes the chaos of the warzone made it nigh-impossible to knock out guards and start raiding their bodies without being noticed by someone. The game never really settled on a particular style of gameplay, huffing you from one style to the other, and never mixing and matching. They're all relatively segmented sections of gameplay. What I got to play, I enjoyed. The problem is, sometimes gameplay isn't all that common. The cutscenes can leave you a half hour without actually playing the game. There is a level of interaction between you and the cutscene, though. At certain points, you have the option of triggering flashbacks or viewing the scene from Snake's perspective. It always comes at the right moment, adding that additional touch to the cutscene to make it more impactful. When you transition from a cinematic to gameplay, it's a flawless move, and is executed beautifully. Fighting through the jungles and on ships, the enemy AI is fairly smart about teaming up to kill you -- but once you get into cover, they will quickly fall into a predictable pattern that would let me sit and wait to kill them, while my health would slowly auto-recover. I had to frequently fall back into this pattern, or just hide for five minutes, because I needed to recover health, and finding rations was not easy. The game has made combat a lot better, though. The game has adopted an over-the-shoulder camera, shying away from the harder-to-use top-down oriented view of things. Snake is more frequently pitted against squads of enemies at a time, so the revamp was a nice touch. In the heat of battle, you have the option of buying whatever weapons and ammunition from a weapons launderer named Drebin in the menu -- usually for a fairly expensive price, based on the situation. You earn points for Drebin through kills and picking up dropped weapons from enemies. Even with Drebin aiding you, the game doesn't turn into Dynasty Warriors Gundam -- if you attempt to take on squads at a time, you'll get gunned down within a minute. I still replay Metal Gear Solid and Metal Gear Solid 2 to this day. Between the two games, I've probably played through them 20 times. Looking at Metal Gear Solid 4, I can see myself playing the game through only a handful of times in the next several years. The amount of time -- and more importantly, emotion -- that is required by this game is not something I can subject myself to over and over again. I love Metal Gear Solid 4 for what it does to complete the enormous project that has spanned 20 years, but because of the segmented and sparing gameplay, it's not going to get anywhere near as much use as MGS or MGS2. Metal Gear Solid 4 is so good that I might actually buy a PlayStation 3 just so I can replay it a third time. 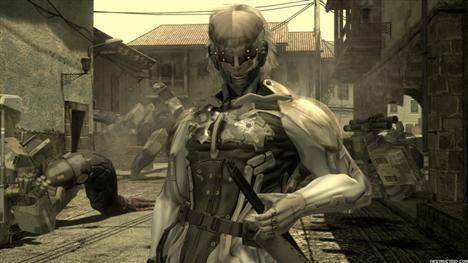 Without spoiling too much, MGS4 derives its power from tying every character, event, and unanswered question from the previous MGS games into one cohesive, satisfying, and totally epic conclusion. Every question is answered; every promise is fulfilled. I can only liken the experience to finally watching Serenity after completing all fourteen episodes of Firefly. The first three games in the MGS series act as simple precursors to MGS4, wherein the player gets to know and care for certain characters. 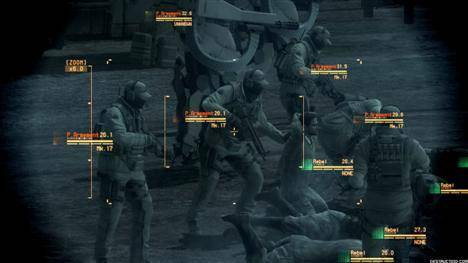 With the player's knowledge of the previous trilogy in hand, MGS4 throws all these characters together in situations you'd never expect. The plot, while interesting in its own right, has a much greater dramatic weight since we've all spent three entire games learning about these characters and now we get to see where their personality arcs finally conclude. 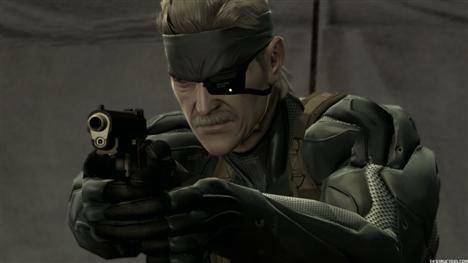 Even ignoring the fact that Old Snake is probably the single most complex character in videogame history (I am not exaggerating in the least), even Johnny Goddamned Sasaki becomes an interesting character in his own right. With MGS4, twenty years of series mythology and history finally come to an end (and though MGS4 is only meant to be Snake's last game, I wouldn't have been at all disappointed if MGS4 were the last MGS game, period.). That's not to suggest that the game is without flaws, however. Though I began to tear up near the game's playable climax, and though I had such a good godddamned time with the game that I replayed it twice in a 24-hour period (skipping the cutscenes the second time, of course), and though it may be one of the most meaningful videogame experiences I've ever had if only because of how well it ties up a story I've been following since I was in elementary school, it's got some pretty significant problems. 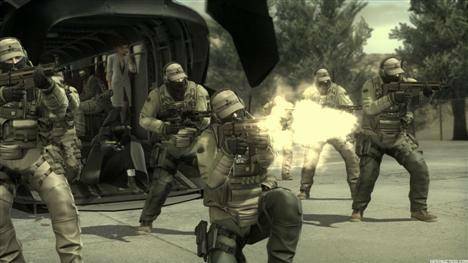 Since the story takes place over a myriad of locations rather than being confined to a single area (as was the case with all previous MGS games), the gameplay itself changes up with every act. The sort of "hiding in plain sight" gameplay we've all seen in the trailers, with epic gunfights between PMCs and militia taking place while Snake sneaks through the battle lines, doesn't even comprise half of the overall gameplay. Acts One and Two are full of this new, interesting, and so-fun-you-could-build-an-entire-game-around-it gameplay, but once Act Three starts it's dropped and never returned to again. The rest of the game is still full of some great playable set pieces (with the exception of Act Three's first half, anyway), but by the game's end it still feels like there's a lot of untapped potential in the Act One gameplay. Additionally, there's not quite as much actual gameplay here as I would have liked. As Brad said, the gameplay and the cut scenes mesh together so well that you'll probably never notice, but there's only about six to eight hours of real, player-controlled gameplay in this sixteen- (or so) hour game. Admittedly, though, I didn't actually notice these flaws until I started my second playthrough. The cutscenes are so great, and the pace so blistering, that by the time I'd reached Act Five in my first playthrough, I didn't lament -- or even realize -- the fact that I wouldn't experience the Act One gameplay again. Only after some personal reflection upon beating the game, or perhaps by reading about it in a review (sorry! ), does the slight shortage of gameplay become obvious. 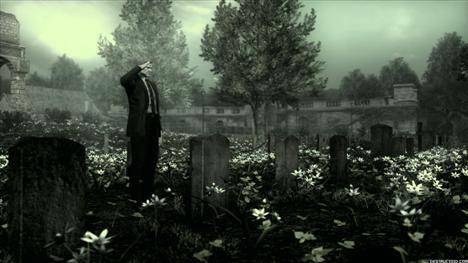 The previous MGS games gave the player a persistent location and gameplay type that they could truly sink their teeth into, resulting in a gameplay experience that matched the story in scope and satisfaction. MGS4 is a more angled toward the cinematic side of things. MGS4 feels like coming home. I pretty much agree with Brad and Anthony regarding the two biggest aspects of Metal Gear Solid 4: Guns of the Patriots. The plot is satisfying on a level I think only my tears of joy and sadness can even attempt to describe, and the gameplay -- while truncated in comparison to older games in the series -- is addictive and endlessly creative. What I want to focus on -- and what impressed me the most about MSG4 -- is the game's ability to tell a story and its myriad amounts of unforgettable moments. I am not exaggerating when I say that Metal Gear Solid 4 is, hands down, the most technically advanced and impressive method of storytelling I have ever witnessed in my entire life. I know that is a bold statement, but more than any book I have read or any movie I have seen, MGS4 presents its tale in such a sophisticated, engrossing, visually stunning way that it blew my mind throughout. In the same way that Super Mario 64 revolutionized the way we play videogames, Metal Gear Solid 4 revolutionizes the way videogames are presented. The transition between cutscene and actual gameplay is seamless and constantly surprising. You really need to experience its brilliance for yourself to truly understand, but, with MSG4, it seems the days of putting down your controller and just mindlessly watching cutscenes are over. More important than anything else, though, is the game's inclusion of an endless supply of memorable moments. Going into Metal Gear Solid 4, I wanted more than anything for the game to be filled with enormous set pieces, beautifully over-the-top story twists, and memorable, unique gameplay sequences. For me, that is what the Metal Gear Solid series has become, and I was hoping MGS4 would not disappoint. Would the boss battles be on the same creative level of genius as Psycho Mantis and The End? Would any set piece in the game come close to rivaling the elaborate and breathtaking Shagohod chase near the end of Metal Gear Solid 3? I am happy to report that, not only are there some jaw-dropping sequences, there are more memorable moments in MGS4 than all the other games in the series combined. Of course, I won't ruin anything, but within each of the game's five completely varied acts, there are a handful of moments that will make you either gasp or put down your controller and run around the room screaming in happiness. You won't believe what you are seeing or playing. From a motorcycle chase that puts any action movie to shame, to single-handedly the greatest final boss fight in the history of videogames (how's that for praise), Metal Gear Solid 4 is full of amazing moments you will never forget for the rest of your life. Solid Snake's awe-inspiring, emotional journey through Guns of the Patriots is at times a remarkable evolution of the revered series, but at its heart thankfully remains a wonderful dose of nostalgia for any Metal Gear fan. While it is almost a requirement to play all the other games in the series beforehand to fully appreciate everything, I would still recommend MSG4 to any gamer. It truly is a landmark in the world of interactive entertainment. Metal Gear Solid 4 is a timeless masterpiece that brings the series to a perfect close.